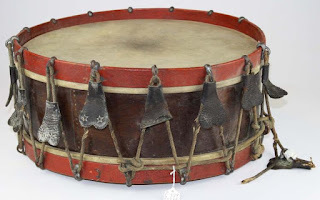 Experts in the drum community, please feel free to comment. Share your comments on this drum. If it's original, was it simply not finished (even to the point of not painting in the usual information on the banner)? 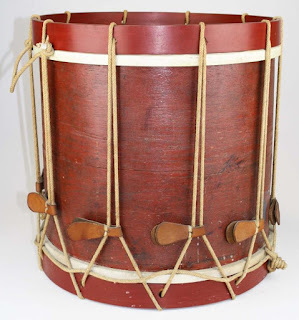 The emblazonment looks so clean and the counterhoops so fresh as to suggest that if it is original, it's never been used. 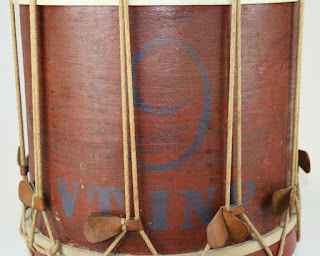 But, is it CW? 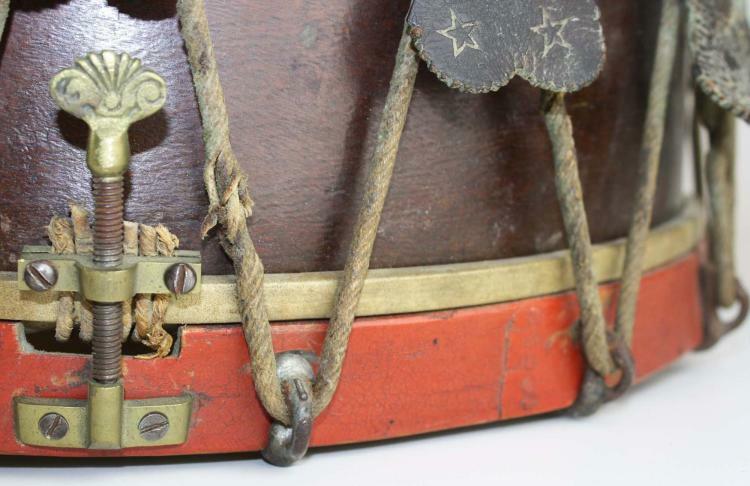 Antique Regimental Civil War Field Drum, eagle motif. 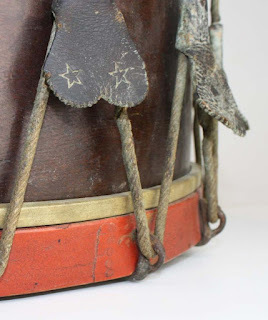 A 1 inch crack in one of the skins and a small hole in the other otherwise very Good original condition. 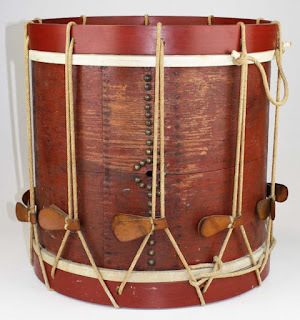 14 inches tall X 17 inch diameter. 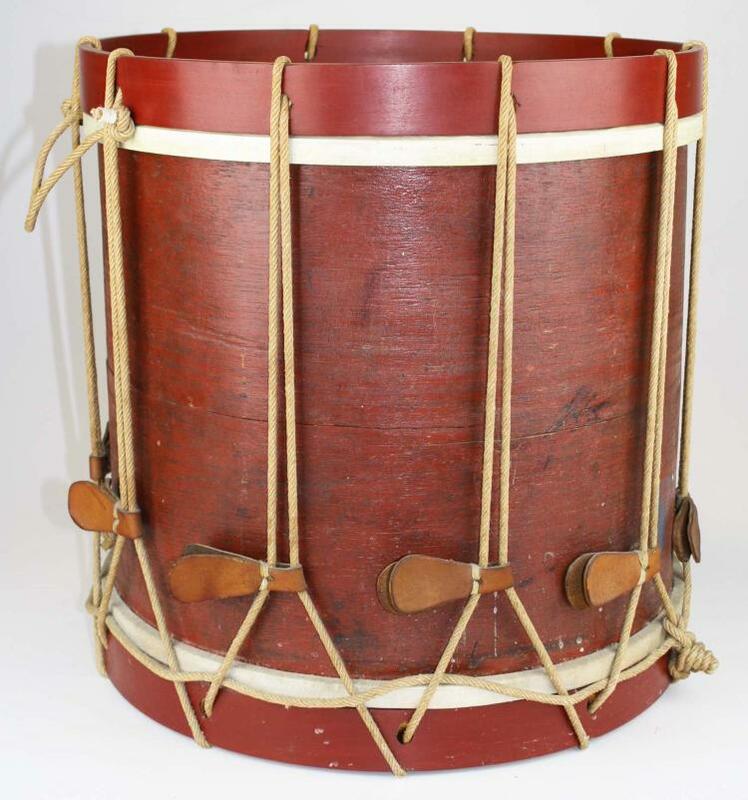 Civil War Era Sewell Morse Brattleboro Vermont Snare drum in excellent overall condition - drum retains early leather, bindings and gut snares. Minor marks, dings and wear to drum but appropriate for an object of this age, 8" high 18" diameter. 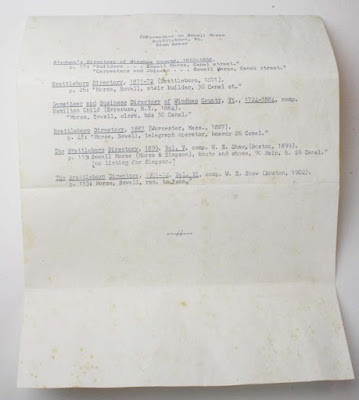 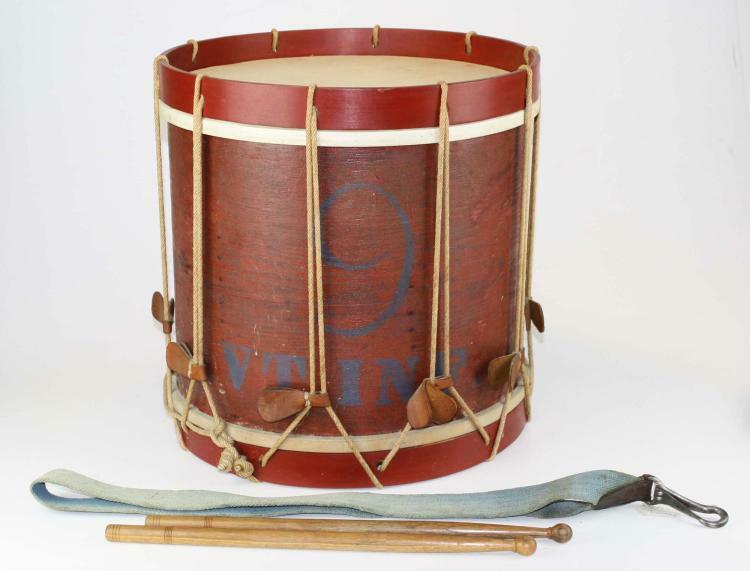 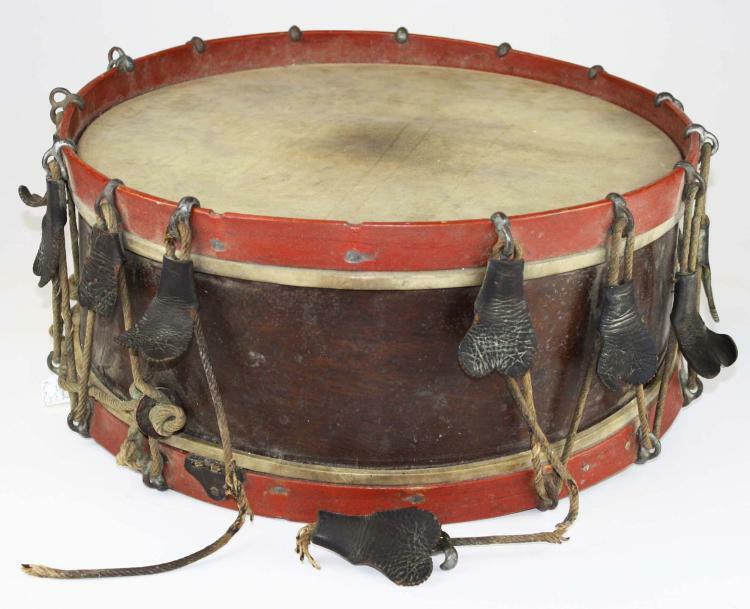 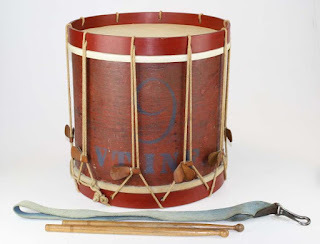 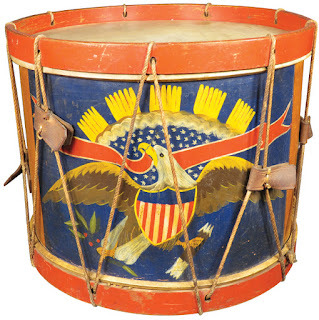 9th Vermont infantry drum. 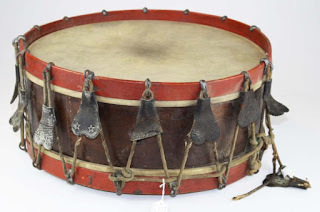 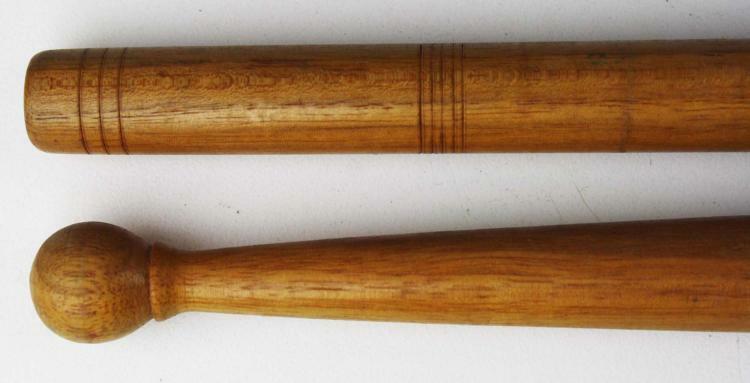 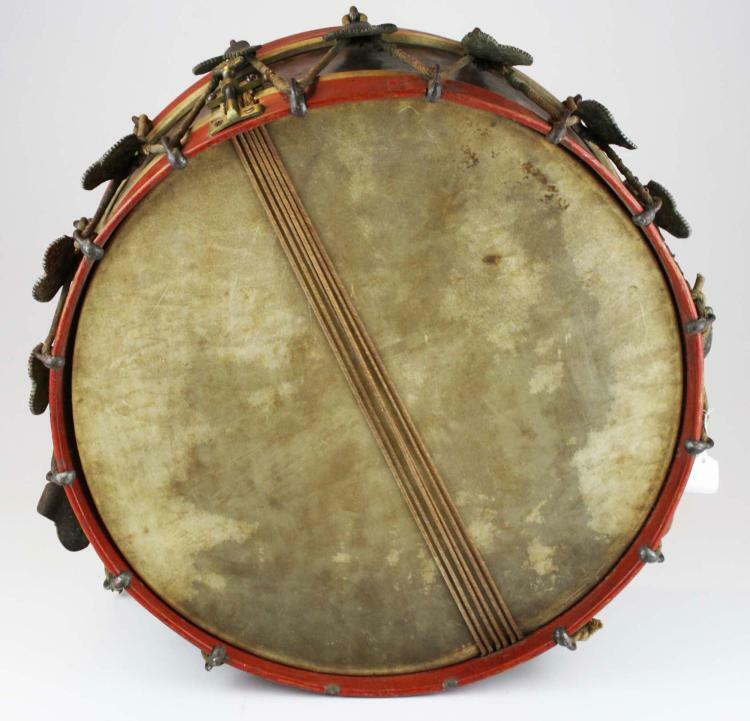 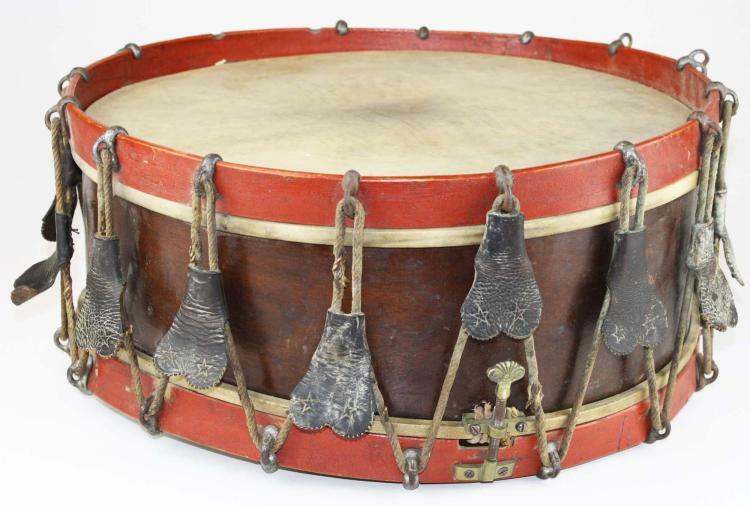 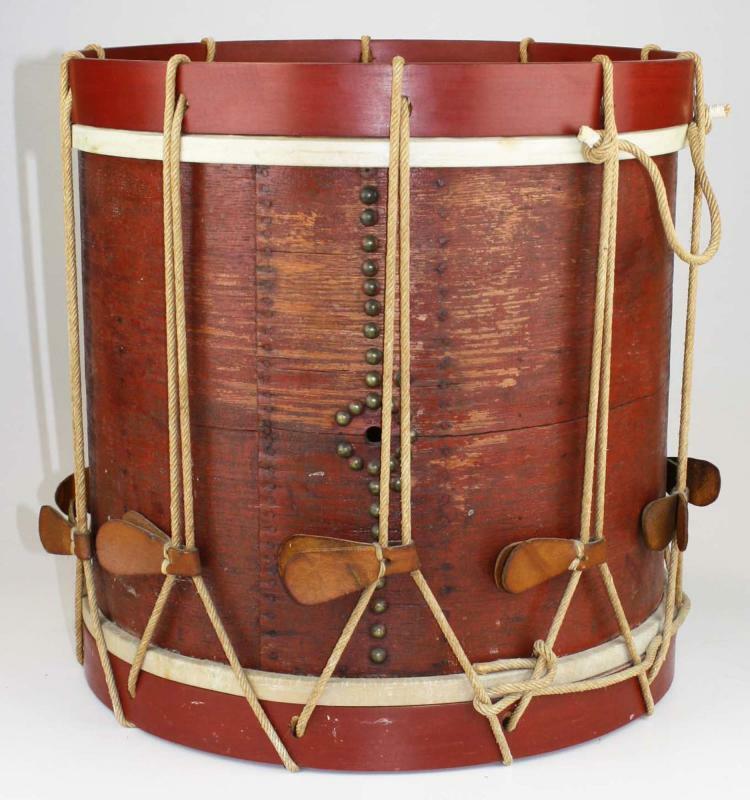 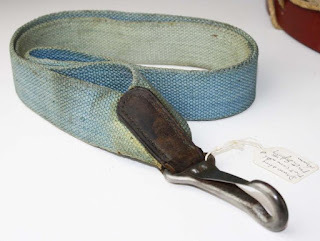 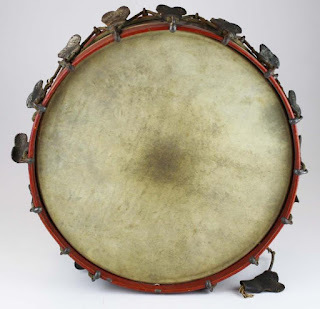 An unusual tenor drum dating from 1830-1840 most likely from milita use prior to war. 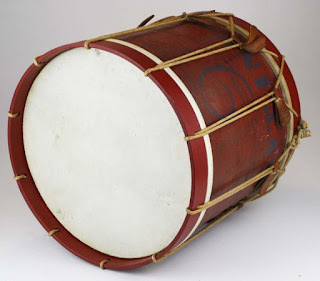 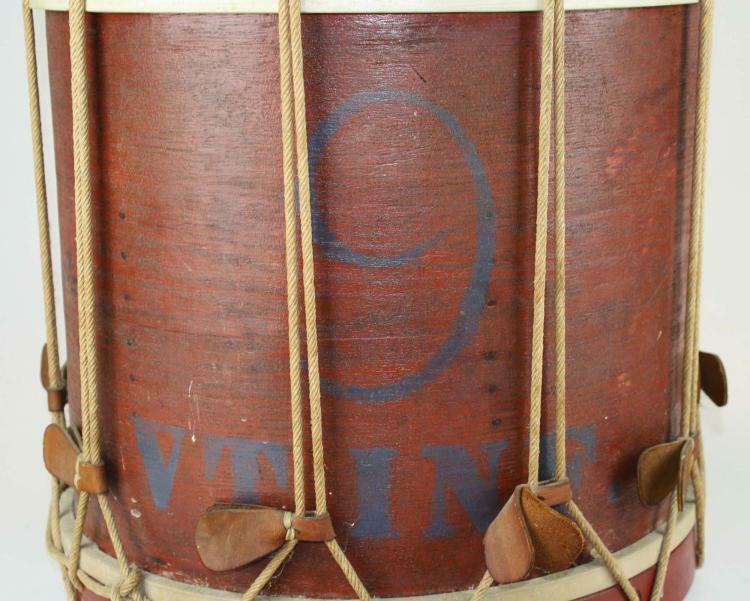 Drum is marked with 9 VT INF in blue pain on old red surface. 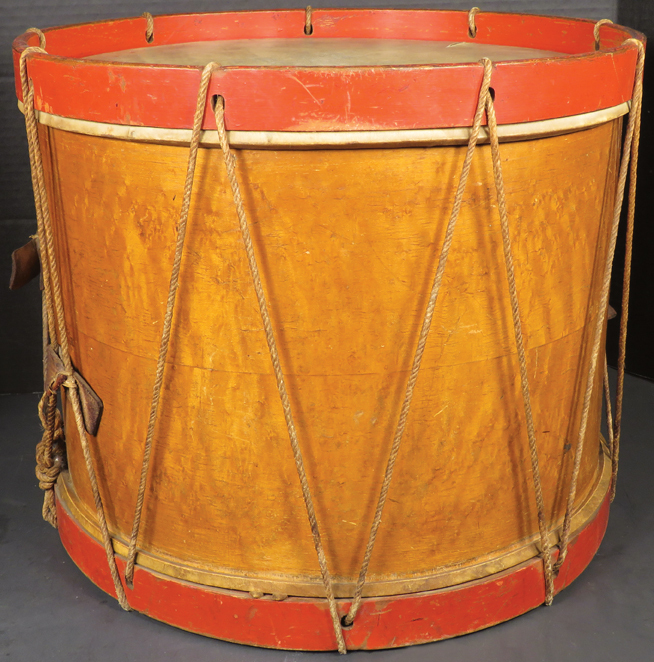 It has been repaired and restored by Charles Soistman of "The Rolling Drum Shop"- Drum retains early paint, one original hoop (now damaged) and canvas hanger with two period correct drumsticks. 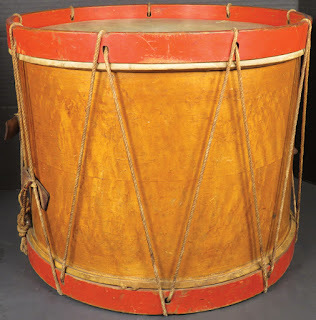 17 in High x 16 diameter.